A unique piece that features 3 measure phrases and quick harmonic changes. Honor your volunteers for their services. This recording was done by The Butler University Wind Ensemble, Dr. Robert Grechesky, Director. The band performs the finest in wind music from the Renaissance to the present in a concert series presented in magnificent Clowes Memorial Hall on the Butler Campus, as well as other venues throughout Indianapolis and central Indiana. 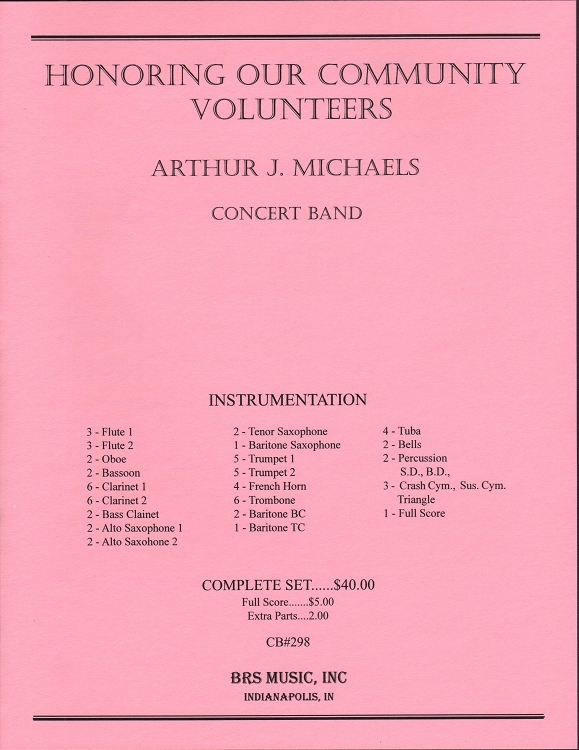 The band has performed for many prestigious organizations and conferences, including the conventions of the American Bandmasters Association, the College Band Directors National Association, the International Percussive Arts Society, the Indiana Music Educators Association, the Music Educators National Association, and the International Mid-Europe Conference for Bands and Ensembles in Schladming, Austria.